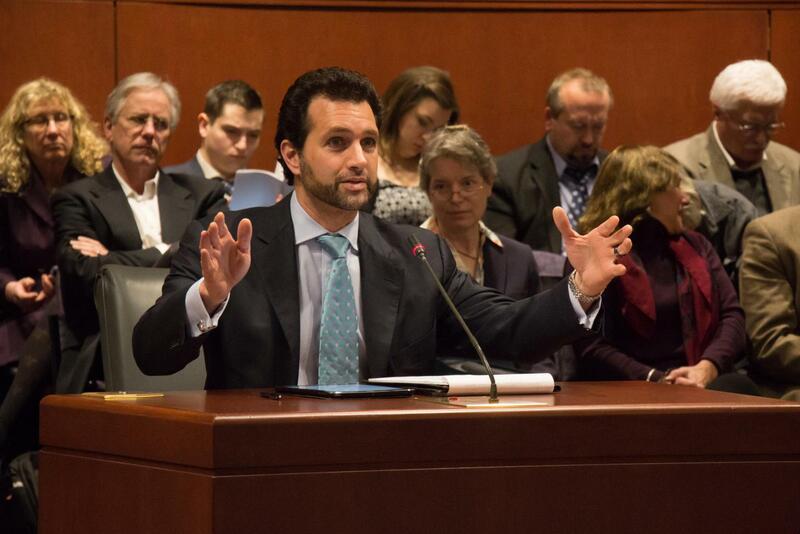 Representative Mike D'Agostino (D-Hamden) testified Friday in support of a bill he authored that further protects the State's tree canopy from unnecessary pruning and removal in towns and on state roads. The proposal, HB 5150, was raised by the legislature's Environment Committee for a public hearing. Requires utility companies to clean up debris left from tree/shrub removal.